This site is not updated anymore. Please go to www.terminal313.net. 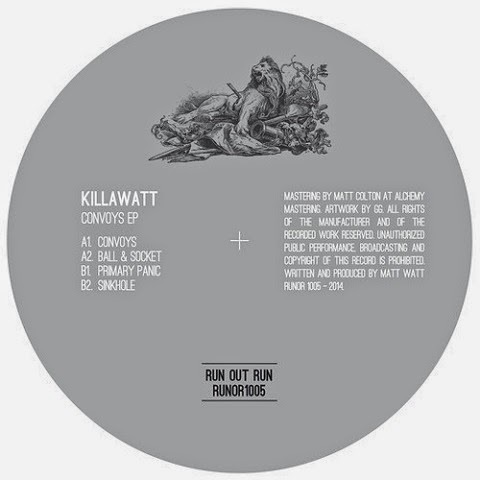 Killawatt, a young UK artist initially trying out the dubstep side and hanging around mostly with Osiris Music, quickly adapted a wider view on the club music and "Convoys EP" on Tom Dicicco's Run Out Run imprint pledges for shout-outs by the techno faction. 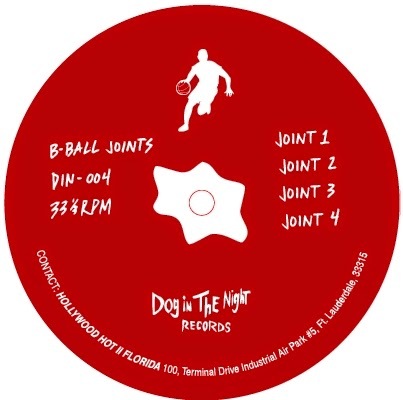 The title cut "Convoys" sets off to thunderball mission with stealth snares and swirling synth lines, while "Ball & Socket" comes with obvious UK bass influences, resting on an elastic vocal sample and a distant terrace chant at the matches. On the flip, nasty drum kick, toxic bass line and crumbled vocal loop push "Primary Panic" to the peak-hour zone. After the EP's highlight, the thrill is not yet over because we are drawn all the way down to "Sink Hole" with the power of alarming stabs and stepping drums. An all-around strong release that could be described with an often abused reference: funky techno. Either in a grocery store or at a tube station in the heart of big cities like London or Berlin, it's easy to bump into an electronic artist given the high density of techno's creative minds in those metropolises. The artistic and partygoing appeal of large cities in the UK, Germany, Benelux, Italy, Austria and USA has been dominating the scene for over 20 years but gradually other locations have gained importance, often boosted by a few artists that brought the country to the map - like Sähkö in Finland. I'm not sure how many techno producers per square mile are found in Athens but Greece is definitely not a white spot on the global map of electronic music. One can't ignore the role of synth wizard Vangelis and dub techno professor Konstantinos Soublis aka Fluxion but it's not only them. A closer look at the current scene tells its becoming more vibrant. Good examples are labels like Modal Analysis, Nous, Lower Parts, Echovolt and many more. Artists like Stef Mendesidis, Stathis Kalatzis aka Mr. Statik aka The Magnecian, Kondaktor aka Slydex, Sawf, to be continued. To the previous we can add Alex Tsiridis, one half of the techno duo Cassegrain, then London's enigmatic conglomerate of Berceuse Heroique / ΚΕΜΑΛ and also Dimitrios Ploumpidis from the industrial techno duo AnD's has most probably Greek roots. 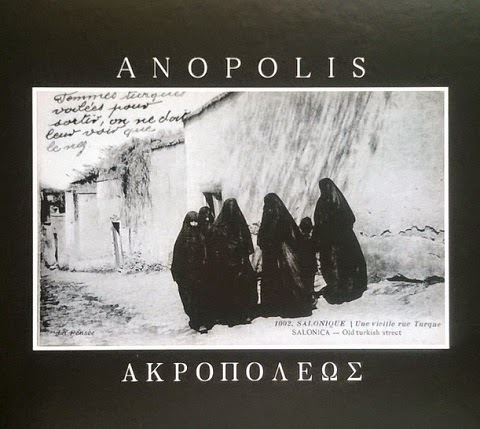 "ΑΚΡΟΠΟΛΕΩΣ" was a truly appealing platter of acid house in Greek style, conceived by Anopolis, a producer collective from Thessaloniki. "Edict" by Stef Mendesidis, a revelation on Semantica's recent "Exhibition Design 2.5" compilation. Deep house tracks on Nous Disques: "Ethos Series"
A new full-length by any artist having been in the business for a while creates mixed feelings. Even if acknowledged for quality output in the past, the challenge of an album is not always easy to take up. However, when learning about the new longplayer by the Brooklyn-born Adam X aka Adam Mitchell, the feeling of anticipation prevailed over suspicion because techno's evolution of the last 25 years is unthinkable without him. Once part of the Brooklyn crew with his brother Frankie Bones, Jimmy Crash, Heather Heart, he was a rebel since the very beginning. Someone to put out an EP called “Cannabalistic Humanoid Underground Dweller” or speaking out about scene politics. Adam X has been a controversial person and it might be true that initially anonymous Traversable Wormhole project was in a way Adam X’s undercover mission to trigger a wow-effect in the clusters not easily accepting the music signed by the American. This piece of writing should not look as an obituary because the story is not about a drained battery but about a restless engine behind "Irreformable". Released on his own label Sonic Groove, it is a remarkable techno album deserving closer attention in the end-of-the-year rankings. Staying away from ambient-minded intros of many albums, the opening monochrome cuts "Interchanges" and "Catenary" still keep the audience in the waiting room before the real showdown begins in "Binary Possession", a little melody played over a rough ride of synths and eerie whispers. Recalling early works of German label Overdrive, "On The Verge Of Decimation" belongs to the banging part of the album while in "Sheer Insanity" Adam X grabs the mike again for militant vocal input, reminding about the role of a human controlling the machines. 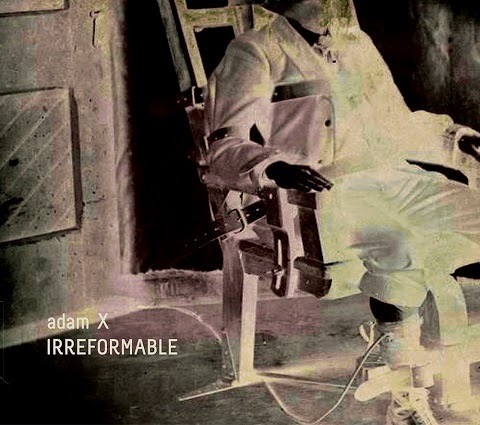 Reciting irretrievable, irredeemable, irreformable, hopeless, the title track "Irreformable" is another highlight with harsh drums of The Infiltrator quality. “In A Race Against Time" moves closer to the floor while darker undertones prevail in swirling "Tornado Warning" and “It’s All Relative” before digital-only "Small Black Object" rounds it off. 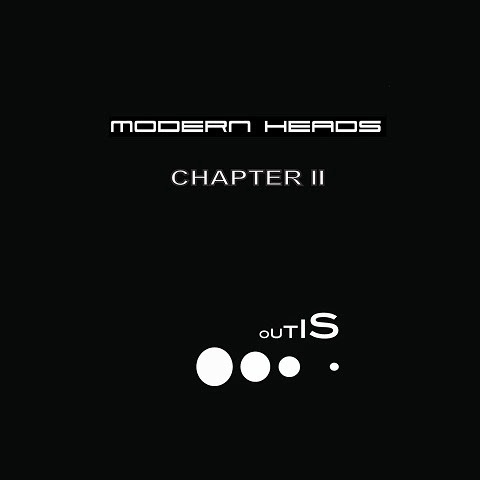 Once emerging as protagonists of Rome's new techno sound, former Elettronica Romana producers Dino Sabatini and Luca Meloni are reunited under the Modern Heads banner on Sabatini's Outis Music. Without any hassle, slightly melancholic "The Beginning" passes the checkpoint from bleepy ambient to tranced-out dub. With background hiss and reverbs, it's an example of usual Outis Sound where the repetition comes close the immobility. However it will be not a quiet day in the woods, when the B-side's "Unknown Route" embarks on a chase on winding roads. Dramatic synth sequence over syncopated drums predict a fair amount of playtime for the track, the clear winner of the single. The opener "Joint 1" is the fiercest affair, a mugging and noisy assault of enraged drum machine and darkcore textures for waking up the dead. Wobbly synth pulses carry a special operation called "Joint 2" while the next joint sounds like a mutilated ghetto track with delirious screaming before the session folds with brief abstraction "Joint 4. Deep respect is due when encountering the works of late James Stinson, an acclaimed personality in the evolution of (Detroit) electro. Departing our world far too early, Stinson left behind a vast legacy, of which Tresor Records reopenes another chapter. 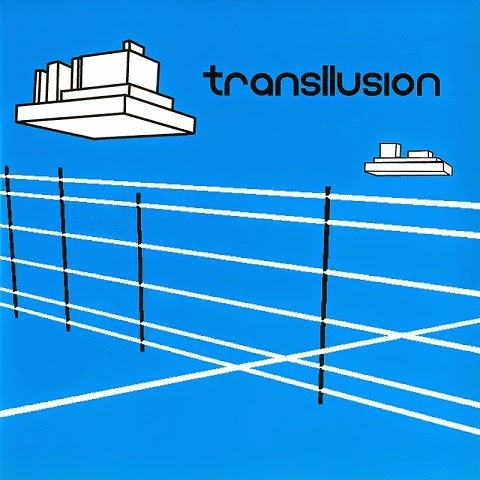 "The Opening Of The Cerebral Gate" under the Transllusion guise was originally out on the label's short-lived Supremat offshoot in 2001. The new triple vinyl encompasses 12 tracks for observing the movement of cranial neurons. Opened with fast brain-scanning session "Transmission Of Life", Stinson's entire creative spectrum, from Drexciya and L.A.M. to Other People Place, is present all over the album. Some tracks deserve a special mention, like "Cerebral Cortex Malfunction", a stereophonic bliss of Glockenspiel. From the uptempo side arrive groovy electro acid "Gluben In Guyana", interstellar night-drive "Dimensional Glide" and menacing roller "War Of The Clones" while glaring beauty is found in "Walking With Clouds" and "Unordinary Realities". Two versions of "Do You Want To Get Down?" round off the whole thing. With the album, Tresor follows up the mission of Clone Records, which detached the works of the epochal Detroit act from the isolated shelves of hard-to-find record collectors and brought out the four-part series "Journey Of The Deep Sea Dweller". Unlike Clone series, the Tresor reissue does not feature any unreleased material - although four tracks are first time available on vinyl - but electro fans can indulge themselves. On top of that, thee-tracker "Mind Over Positive And Negative Dimensional Matter" is reissued too.